Introducing The Kent, a tailored collection of two-to-five bedroom condominium residences complemented by three levels of curated indoor and outdoor services and amenities. The Art Deco inspired design by award-winning architects Beyer Blinder Belle and interior designer Alexandra Champalimaud is crafted with oversized windows, gracious floor plans and the finest finishes. The double-height entrance is located on tree-lined 95th Street, with Central Park to the west and the riverfront to the east. 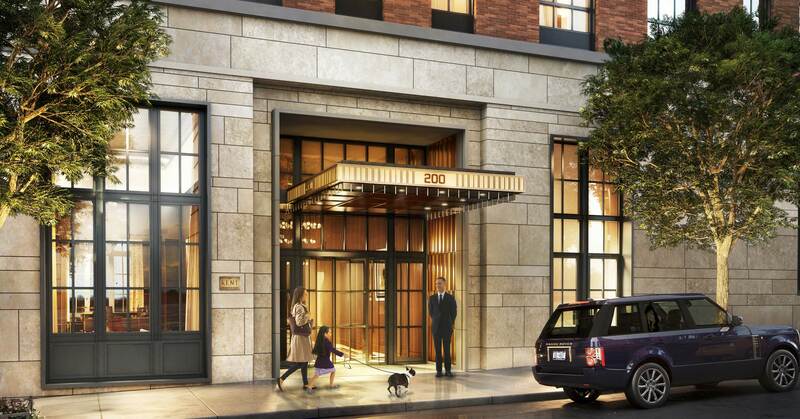 The coveted location is surrounded by modern day conveniences, including a three-story Whole Foods Market, the 92nd Street Y, Asphalt Green, and many of New York’s best private and public schools. The limestone detailed residential entrance is located on tree-lined 95th Street. The custom double-paned windows are engineered to maximize views and natural light. The prominent corner location on the Upper East Side allows for gracious layouts, many with wrap-around windows. The Kent’s silhouette is enhanced by metal and glass corner “lanterns” that mark the uppermost and penthouse units.